Today I bring you the story of one of the most wonderful people I have ever met. Ellie is a dear friend, though I have not seen her in years. She was my college roommate and though we are as different as night & day I love her and have the utmost respect for her. Ellie is a birth mother who selflessly gave her daughter up seven and a half years ago to a couple who longed for a child. I will never forget that crisp April morning when she sat on my couch and told me she had given birth a month before and chose adoption for her child. I don't remember what I said, but I know I just wanted to comfort her in her grief. I do remember her thanking me for not judging her - how could I? I was and still am in awe of the love she has for her child. Here is her story. I'm also giving you plenty of advanced tissue warning. When I was very young, in my teens, I was told I was infertile. The summer before I began graduate school, I got pregnant. Using three forms of birth control. I don’t believe in god. But if I did, I’d say he or she really wanted my daughter to be born. Neither her father nor me ever wanted children, and neither of us was anywhere near prepared at 22 – neither emotionally nor financially. But I was also adamantly pro-life. So our options, once pregnant, were limited. Adoption. The entire experience blew our relationship apart. We just dealt with it in two very different ways. We don’t speak anymore, and, in fact, he is the only ex-boyfriend I’ve ever had with whom this is true. But I bear him no ill will. He did everything I asked him to do, and he never questioned my decisions. I will be grateful to him for that, wherever he is, for the rest of my life. I went to a family lawyer. She didn’t exactly have birthmothers knocking down her door, and she told this to her prospective families. Still, I had a mountain of profiles to look through. She asked me how sure I was about my decision. I told her, profoundly, wholeheartedly. I described the kind of people I wanted to raise my baby – educated, neither rich nor poor, good relationships with their extended family, solid marriage, and with no other children but wanting to adopt more. Armed with this info, she selected a smaller mountain of profiles and I headed into the reading room to go through them. As I was walking out the door, she stopped me and added one more. A whim, she said. That was Chris and Shelley’s profile. 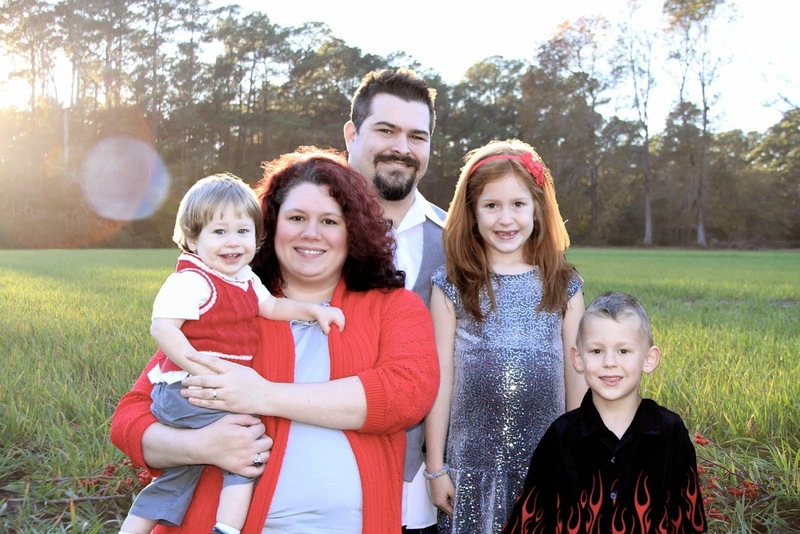 I pared my small mountain down to a molehill – six prospective families. I asked to meet with each of them for an interview. They were all to happen on a Saturday afternoon and evening. I went to my weekend job that morning and expressed to my colleague, Sally, an adoptive mother herself, how nervous I was to meet these families. She told me to shut up and stop complaining – I didn’t know what nervous was, but the prospective parents did. She will change her outfit five times, Sally told me. He will be practicing what to say in the mirror. Chris and Shelley were the first couple I met. I knew almost instantly that they were the ones. They were timid, but earnest. Gentle, but confident. Their love for one another clear as the tears she was trying so hard not to cry. They showed me so much respect. I went on with the other interviews, because I wanted to do a thorough job. But I knew. We discussed at that very first meeting that I could write to them, but not the baby, and they would send me pictures and letters four times per year, but I would not see them again. I told them that Jane was a family name, that every woman in my mother’s family as far back as anyone can remember, had Jane in their name. I told them I knew they would change her name when they adopted her, but that for those first few months, Jane would be her legal name. After that, it would be Emily Elizabeth they told me. Everyone kept telling me that I would need to see a therapist after the baby was born. I kept saying no, no, what is she going to tell me? That I miss my baby? That it was going to hurt for a while? I knew it would be hard. The thing I felt worst about was that the baby would never know my family, who were so kind and supportive during that time. My fractured, resentful, scattered family came together for me in those months and all the bitterness was left at the door. I could not have asked for more, and it pained me that she would never know my nurturing, loyal mother; my brilliant, insightful brother; my steadfast, protective father. But me? I’d be fine. My first inkling that this was not the case came one night as I drove home from supper and a routine obstetrics appointment. I realized that I didn’t want to give birth. As long as she was in there, I could protect her. And the dread came over me in a wave of despair unmatched at that point in my life. I started having daydreams about us – the baby and me – living in a cabin in Montana, with our two big dogs. I wanted to be the one to teach her about life, and womanhood, and beauty. But outside of my daydreams it was a different story – day care, Medicaid, and an unstable family. So I continued on with the adoption plan. Emily decided to come into the world during my spring break. Thoughtful child. A Thursday. March 6th. I was staying at my mother’s house, and she was at work. Shortly after noon, my water broke. I ran upstairs and stood in the bathtub, not sure what else to do. The lawyer called while I was standing there and, for reasons unknown to me now, I reached into the next room and answered. I have no idea what we talked about. By the time my mother got me to the hospital, I was already in hard labor. They decided to do a cesarean for reasons I again, cannot remember. After the drugs were administered, much of my memory is even blurrier. I do remember being strapped down to a table. I remember that I could feel them pushing and punching, but could feel no pain. I vaguely remember her first wail. The first time I looked at Emily, her eyes were open, and in them I could see both past and future. I saw my grandparents, whom I had never met, and grandchildren that were not yet born. This, I remember with such perfect clarity that the memory lives outside of time. Chris and Shelley arrived later that afternoon. I remember none of that. But my family tells me that they came to see me first. This is second hand as well, but I can see it in my mind, and I like to replay it when I think of this day: when they did go to see the baby, they stood at the nursery window. Shelley started to tremble and cry, and Chris stood behind her and put his arms around her. We were all together in the hospital for four days. I didn’t want to feed Emily for fear of bonding too strongly, but I did want to see her. The nurses didn’t want to bring her to me when I was alone, and I couldn’t stand up on my own to walk down to demand her, so I rarely saw her at night. During the days, she was passed around from arm to arm and lap to lap. And of course, she was beautiful. Chris and Shelley told me, her name would be Emily Jane. On the fourth morning, we were both to be discharged. I woke up in the early morning before visiting hours, and this time, the nurses brought her to me. I held her, alone, and as we watched ‘The Little Mermaid’ together, I imparted to her all the wisdom I had at that age. The lawyer showed up along with my family and Emily’s at around nine. We were all together when I signed the papers to allow her to go home with her parents. I held her for what I thought would be the last time. And then it was time to go. I stood up, walked across the room, and placed her in her mother’s arms. Somehow, I turned around and walked away. My mother, father, and brother held me up on the way back to my room to gather my things. The first few weeks were the worst. I slept most of the time. I had to talk myself into getting out of bed. I would make deals with myself – just go brush your teeth, then if you really want to go back to bed, you can. Just take a shower, then if you really want to go back to bed, you can. In dreams, Emily was home with me. When I woke up, the realization of losing her washed over me all at once. All I wanted to do was dream. The pain was tremendous, deep, and overwhelming. It filled me to the fingertips and toes until I thought it would break me. My mother kept telling me, you have to get her back. You can’t do this. We can still decide to bring her home. That wasn’t her fault – she was dealing with her own grief. And I don’t blame her now, but this made everything much harder. My father would come over every night and sleep on the couch. We would play cribbage and talk about Chris and Shelley. And every night as I went up to the bedroom, he would say, nothing has changed about your situation except how you feel about it. Greif does not make the reasons for your decisions go away, it just makes them harder to see. He was my rock, and I grew to depend on those cribbage games and that reassurance to keep me strong. After two weeks, I forced myself to go back to my classes. Something to occupy my mind. I started going to a birthparent support group as well. One of the counselors told me this, and it was as true as anything anyone told me in those dark days: the pain is like a knot. And at first, it is so tight, you can’t feel anything else. And you feel it will never loosen. Eventually, though, it does, at a pace you cannot discern. It never goes away, this knot that feels like it is at the center of your being. It will always be there. But it will become looser, manageable. Eventually, it is not the only thing you can think about. But I still worried all the time. I wondered – how could I possibly know these people well enough from one interview and four days in the hospital to trust them with my baby? What if they were neglectful? Or molesters? Or abusers? The most horrific images went through my mind, and then I hated myself for thinking them. One evening, I came home from classes and thesis work, and there was an Amber alert on the television. A three month old snatched from the parents’ car at a gas station north of Pittsburgh. I was terrified. I just knew it was Emily. I paced and paced for five hours until the 11 o’clock news came on with more information. It was a boy. I collapsed on my bed and waves of relieved sobs came rolling out. I avoided grocery stores. The baby isle was a half a mile long. Commercials were all for diapers and formula. Every public bathroom I walked into had a baby changing station that made me want to scream and rip it off the wall. Friends started having babies, and I hated them. I hated my friends. They knew where their babies were. At the time in Pennsylvania, an adoption was not final until six months has passed. For six months, my first thought every morning was the phone. All I had to do was make one phone call, and I could end all my pain. It was torture. That window has since been shortened, and it is a deep kindness to both adoptive parents and birthparents. I can only imagine that Chris and Shelley felt a small amount of dread every time their phone rang for that same length of time. When it came time for the final hearing, the lawyer called me to inform me. I asked her if I could be present, and she said she would have to ask, because both Chris and Shelley had to be there, as did Emily. She never called me back. But Shelley did. She said to come to the courthouse, then to their house after the hearing to see where Emily was living. At the hearing, the lawyer put both Chris and Shelley on the stand. The questions were simple: do you swear to love and protect this child as your own? Chris cried. I wasn’t called to testify, but the judge asked me if I wanted to say anything. I don’t remember exactly what those words were. They probably exist somewhere in county records. But I know I told Emily I loved her. I did. I always will. That first visit was marvelous. I made my daughter laugh. And I got to see how safe she was. I saw that she was strong, happy, and so loved. The worry and fear that I had carried around with me since March melted away. Seeing them all together, I knew she could not be safer than she was with her parents. I saw them as her parents, really, for the first time. I see her now at least twice a year. She loves to ride in my little car. She loves my cat. She really wants to see my new apartment in Philadelphia. My mother babysits. My brother is Uncle Dave. She’s in the second grade. And because of Chris and Shelley’s boundless charity, I have not worried about her since that first visit seven years ago. By their grace and generosity, the knot that lives inside of me is loose. I can breathe. I can live my life. I have always been a tough girl. But to this day I cannot write, speak, or think about this without crying, often for hours at a time. Emily is right where she belongs. She was always their daughter. But what I didn’t realize was that she was mine as well. I did what every parent does – I gave up my own wants for the sake of my child’s needs. I just did it all in one day, instead of over eighteen years. I hope that she will see it that way. Someday soon, she will know who I am to her. I hope that she will be proud of me, and not ashamed. I hope she will treat me with the same kindness her parents have. I hope she will love my decision and not resent it. Ellie, thank you for agreeing to share the other side of adoption with us. And on behalf of all adoptive parent, I would like to publicly thank those women (and men) who choose adoption for their children. I can not imagine the heartache you experience daily. And Elle, you are certainly one of my biggest heroes. So beautiful. Thanks so much for sharing this, Ellie. Ellie--Thank you so much for sharing your story. You wrote it beautifully. Have Chris and Shelley read this? Emily will treasure it someday. Thanks, Alli, for putting this on your blog. Thank you, Ellie, for the insight into the heart of a birth mother. I'm an adoptee and an adoptive mom. I have always thought that my birth mother felt the way you did -- and that her choice to place me for adoption was made from love and selflessness. Just like you. What a powerful story. I'm glad you offered a tissue alert ahead of time.